Both a museum and a hotel, Hotel Gajoen Tokyo celebrates its 90th anniversary this since establishment. The hotel is home to the Hyakudan Staircase, or ‘100 Step Staircase,’ a registered Tangible Cultural Property of Tokyo. 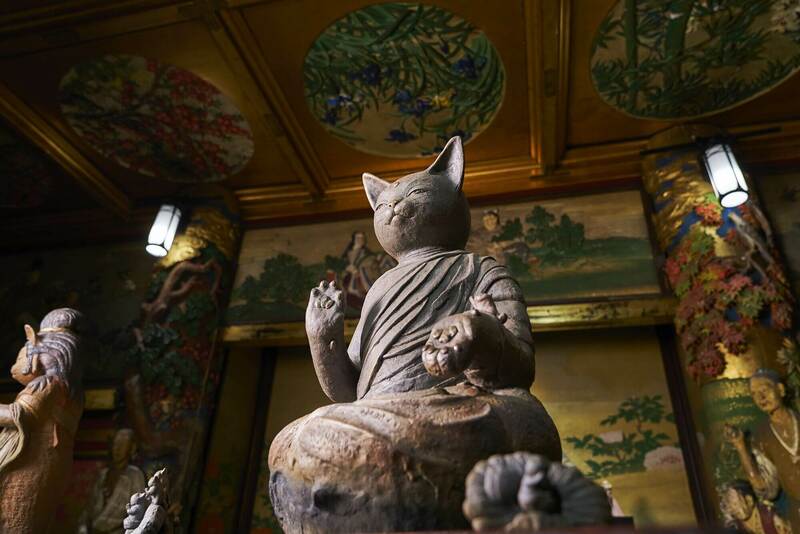 Up until May 13, 2018, a national treasure art exhibition centered around cats is taking place at this location. 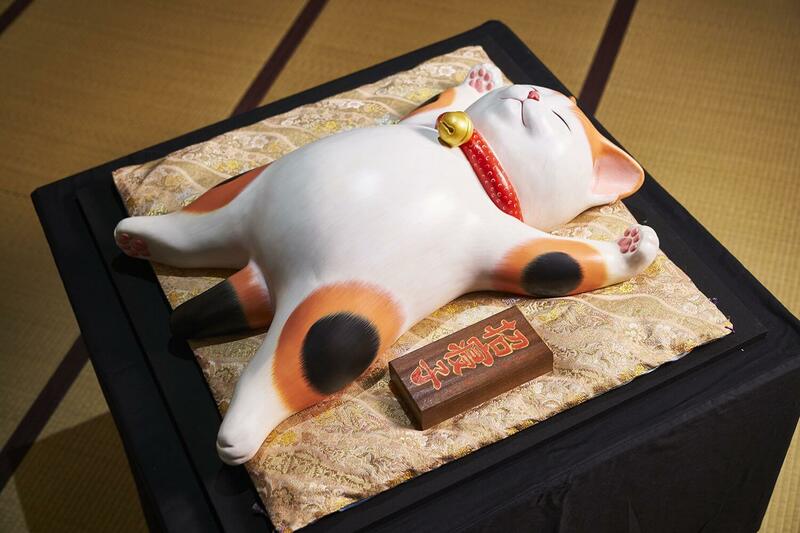 The first run of this event took place in 2017 and titled Fuku Neko Ten, or ‘Lucky Cat Exhibition.’ It brought in over 30,000 people across 19 days and reinforced last year’s cat boom. This year, they are taking thing to the next level. 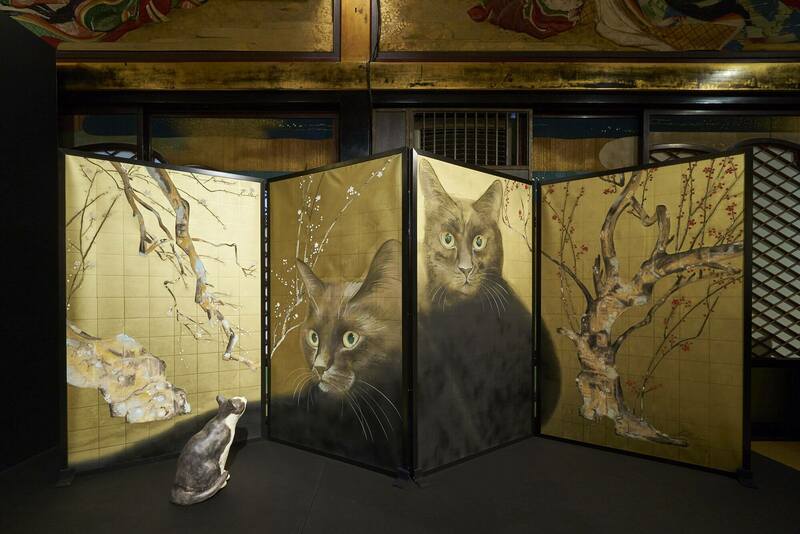 The event is titled Nyanto (Cat City) and puts forth the question: “What if an exhibition of national treasures was held in a city of cats?” The seven rooms leading down the staircase will each have their own themes where 222 works by 40 different artists will be placed, from pieces based on real Japanese national treasures to contemporary works. For example, displays based on Utagawa Kuniyoshi’s works, one of the last masters of ukiyo-e at the end of the Edo Period known to be a cat lover. 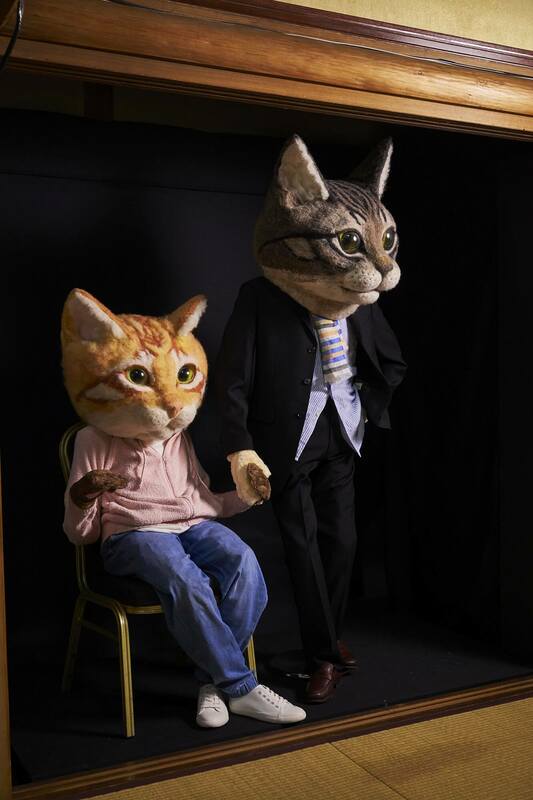 Each week, the pieces on display will be replaced, for a total of close to 800 cat themed works to see. 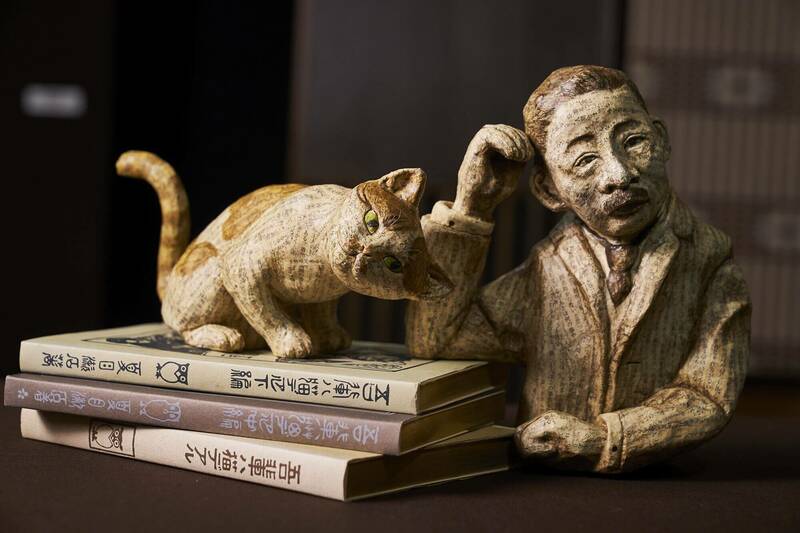 A market selling lucky cat art will also take place at the same time, from pieces by popular artists of which just one will be available to ones more affordable. There’s plenty of cat-themed art pieces to be enjoyed by contemporary artists which have historically held value as cultural assets. And in a very rare move, people will be able to take photos of select works. There will also be a cat paw sofa where you can snap a photo, so if you’re a cat lover then why not visit?